By buying this product you can collect up to 14 loyalty points. Your cart will total 14 points that can be converted into a voucher of 7,00 kr. 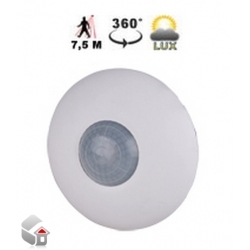 The SHSQP360L is a 360° PIR sensor to detect presence and/or movement in indoor installations with a built-in luxmeter, combining two products in one. 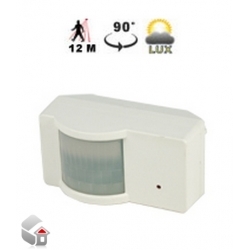 It is part of the smart-house concept and can be used to control lights, rollerblinds, air-conditioning, intruder alarms and all the other functions supported by the smart-house system, in an automatic way depending on people-presence. This sensor is completely programmable via the Sx tool. 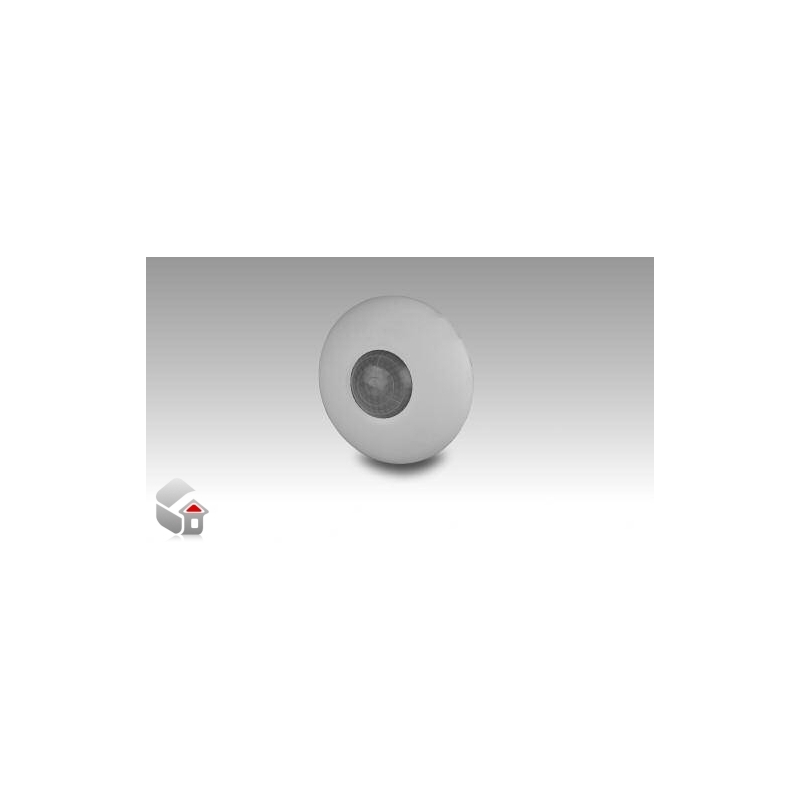 This PIR sensor responds to any fluctuation in infrared heat radiation, so any object or human presence changes the thermal image detected by the sensor when entering its field of vision. 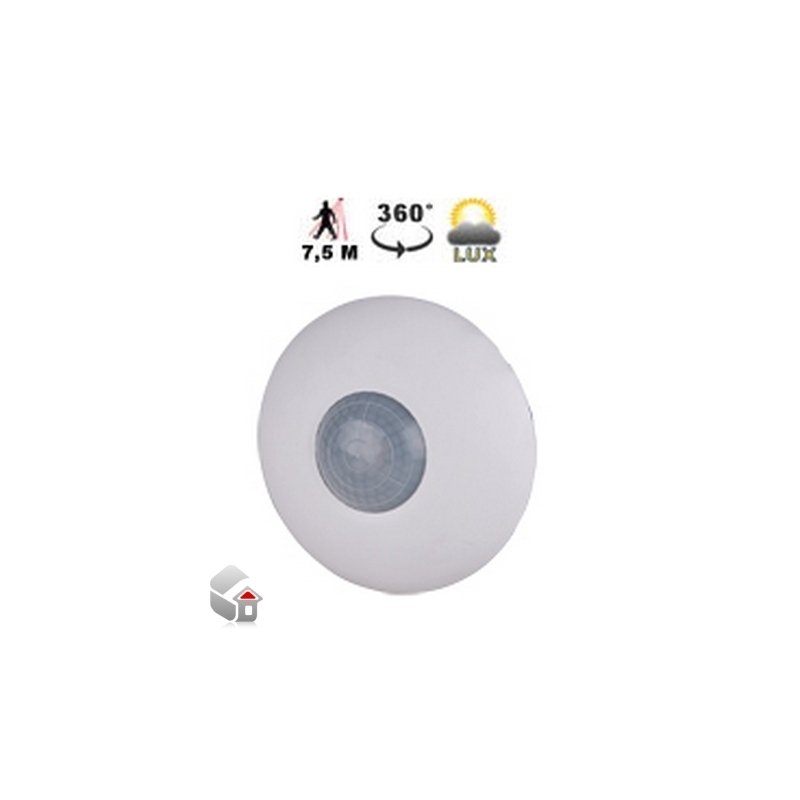 The sensor is equipped with a segmented lens that divides the field of vision into active and passive zones (zones not visible to the sensor, see figure “Sensitive area”). When a heat source crosses these zones, the sensor detects the change in infrared radiation and presence and/or movement are recognised. How sensitive and fast the sensor has to be to detect presence and/or movement can be programmed by means of four parameters, by means of the Sx tool. The four parameters are: mode of detecting the crossing of active zones, sensitivity, the number of pulses and the time window in which these pulses have to be detected. These four parameters have to be set for both presence and movement recognition. 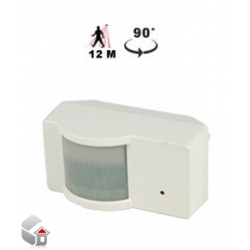 Movement is used by the system in the intruder alarm function and to switch the light on, while presence is used in the light function to reload the energy-save timer (i.e. each time presence is detected, the energy-save timer starts counting from the beginning). 1) Mode of detection A: one border between the active and the passive zone has to be crossed to give a pulse signal. 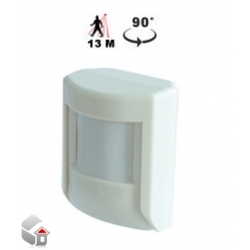 This option has to be selected for presence detection and movement and turns the light on as soon as a person moves from an active to a passive area or vice versa (very quick response). B: two borders have to be crossed to give a pulse signal. The person has to move from an active area to another active area, passing through a passive one or vice versa. This option is recommended for sensors used in the intruder alarm function, in order to avoid false alarms. 2) Sensitivity A number can be set from 3 to 100: the smaller this value is, the longer the detection distance, but the higher the sensitivity to heating sources. In the figure “Sensitive Area”, examples of different sensitivity can be seen. 3) Number of pulses The number of pulses is calculated according to mode A or B before sending a people detection message to the controller. This can be set from 1 to 8. 4) Time window This is the time interval within which the predefined number of pulses is detected. It can be set from 1 to 10 seconds. In the table below is an example of settings which, of course, might depend on environmental conditions, application and type of installation. 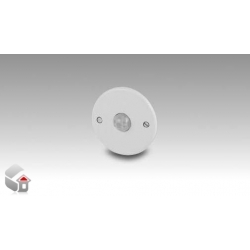 The PIR detector is designed for ceiling mounting. As the SHSQP360L is a passive device, several detectors can be placed in the same room without interfering with each other. The module should not be installed as follows: a) Outdoors. b) In places exposed either to sunlight or to motor vehicle headlights pointing directly at the sensor. c) In places exposed to direct air flow from a heater or air conditioner. d) In places where rapid temperature changes occur. e) In places exposed to severe vibration. f) Close to glass or other objects which might reflect the infrared radiation. 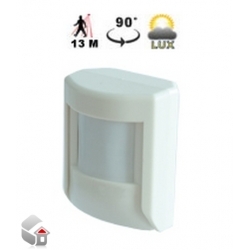 Note: If the sensor is to detect presence, please be careful to mount it so that the area where presence has to be detected is completely covered by the sensitive area of the sensor. See figure “Sensitive area”.